From below Marsworth bottom lock 39 the canal climbs 42` through 7 locks within a mile. 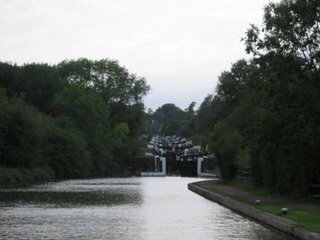 The last of these locks is Bulbourne jct. 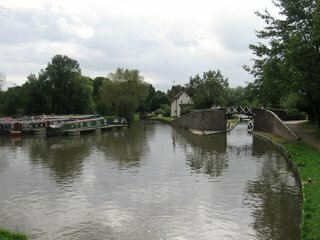 where the Wendover Arm leaves the Gd. Union. The arm is being restored by the Wendover Arm Trust. About 1 1/2 miles is navigable from the Gd. Union and it is from here the trust is restoring the canal to join up with the 4 miles that is in water going into Wendover Basin. Bulbourne Jct. is the dry dock of Bates Boatbuilders where "maid of Oak" was fitted out. 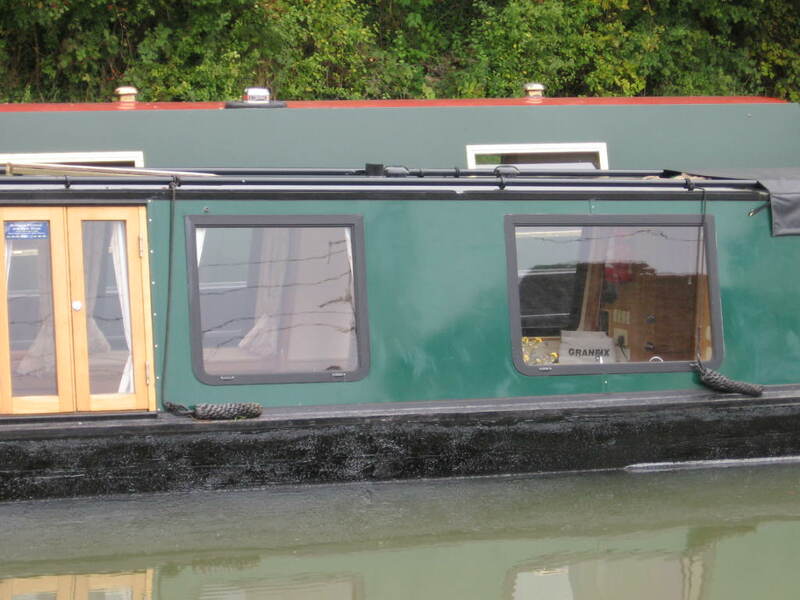 This narrowboat as it`s name suggests is made of wood and is the first wooden narrowboat to be built for some 40 plus years. 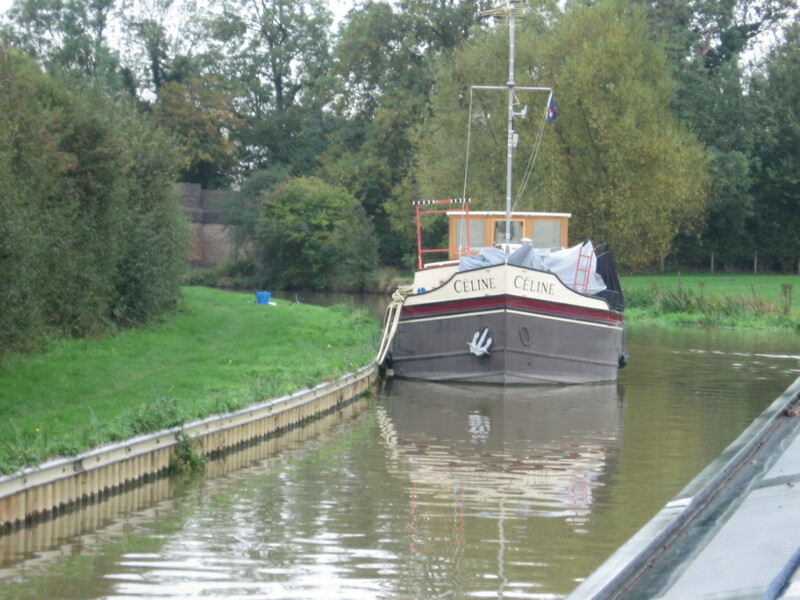 The hull was built at Bates yard on the Aylesbury Arm and the oak used came from Luton Hoo estate in Luton. 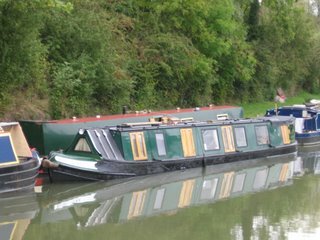 I last saw this boat at Crick in May and was given a guided tour by Julie who together with husband Peter are the proud owners. The boat uses hydraulics powered from the engine located half way down the the boat on the port side. The result is an almost silent boat gliding through the water. 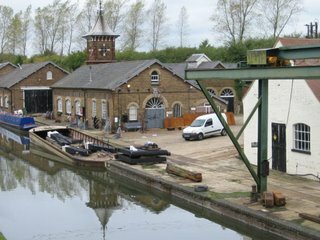 Just along from the junction stands the British Waterways Bulbourne Workshops. 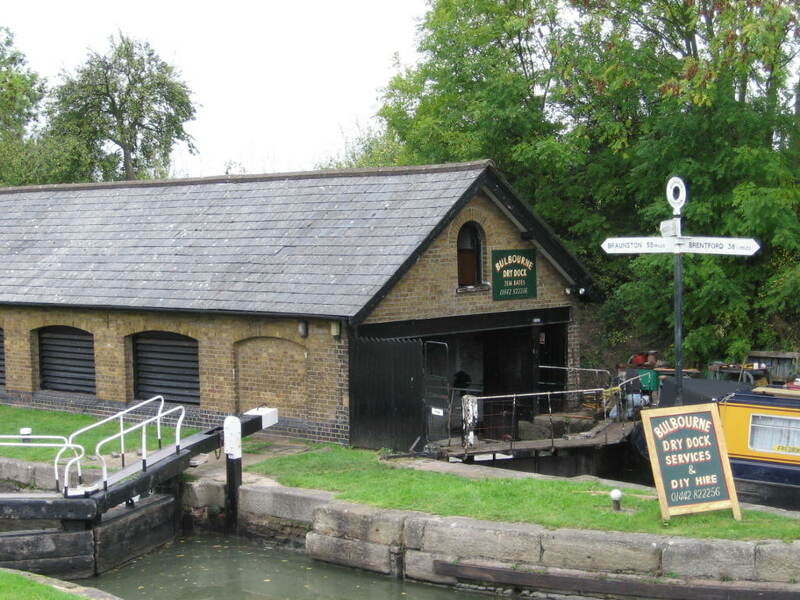 In years gone by lock gates were made here. Alongside the workshops 2 sets of gates were loaded ready for water transport to Ivinghoe and i believe Bulbourne to be fitted during the coming winter maintenance programme. I guess they arrived by road from another BW workshop but could not find anyone to verify this. Bates Boatbuilders dry dock at Bulbourne. 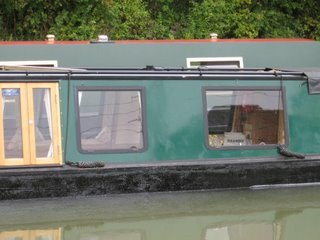 The wooden narrowboat "Maid of Oak"
Extra large windows on "Maid of Oak"
New lock gates ready for installation during winter stoppages. 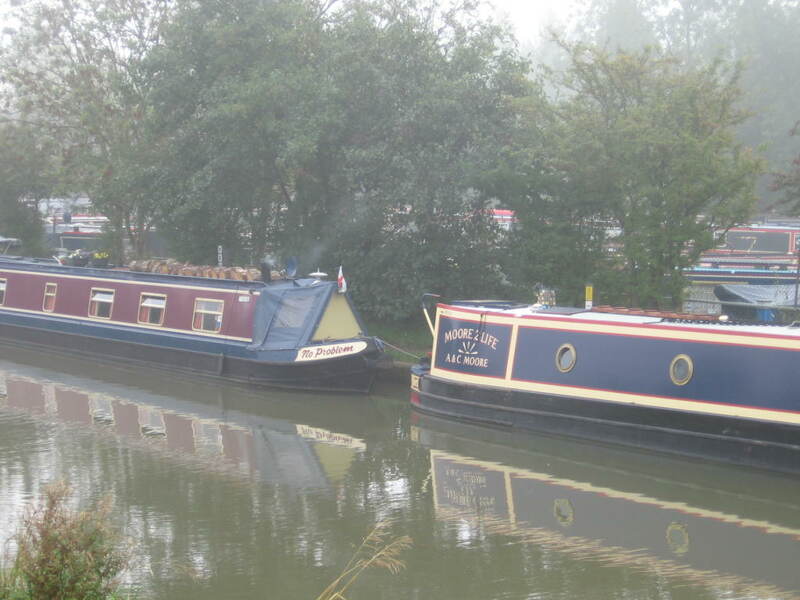 Terry & Maureen who we last saw at the Crick boat show back in May turned up at Fenny Stratford. 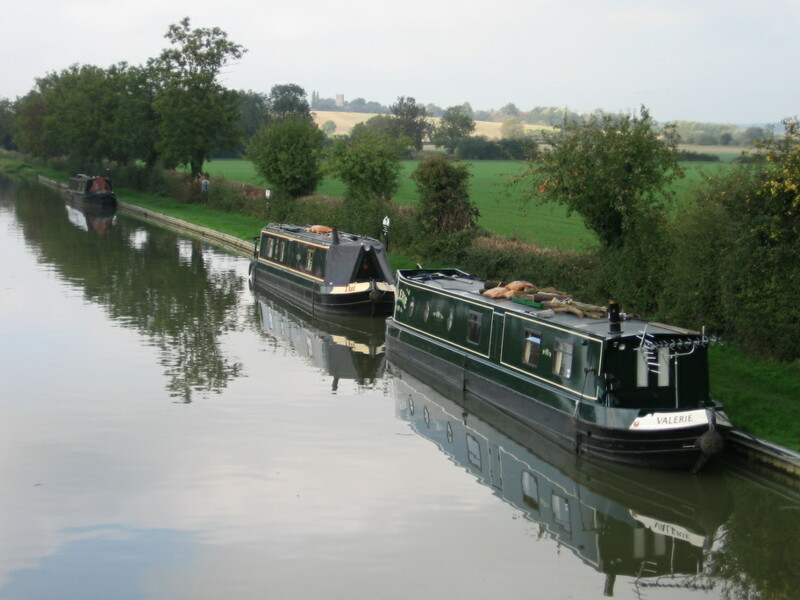 They are heading for the Aylesbury Arm to moor for winter. Nice to meet up with people again, this happens quite often living the life i do. Moved on down to Marsworth to catch up with Andy & Tina on NB YTENE who we cruised with for a month following the Crick boat show. 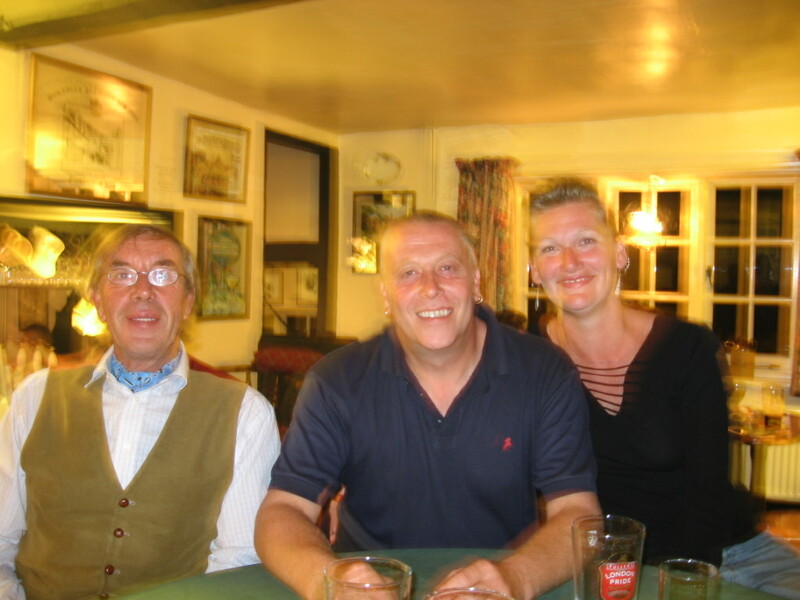 We all had a nice meal and a drink at the Red Lion in Marsworth village and have decided to all carry on south together. That will be nice as they are a nice couple. Back at the boat show where we all met they sadly had to have Tess their 13 yr old four legged freind put to rest following a long illness and she now lays peacefully among the trees, a stone marking the spot. It is very common to see graves of boatowners pets along the canals. While taking a 5 day break at Marsworth ( boatmans holiday) my son Steve phoned asked my location and said ok see you this evening. 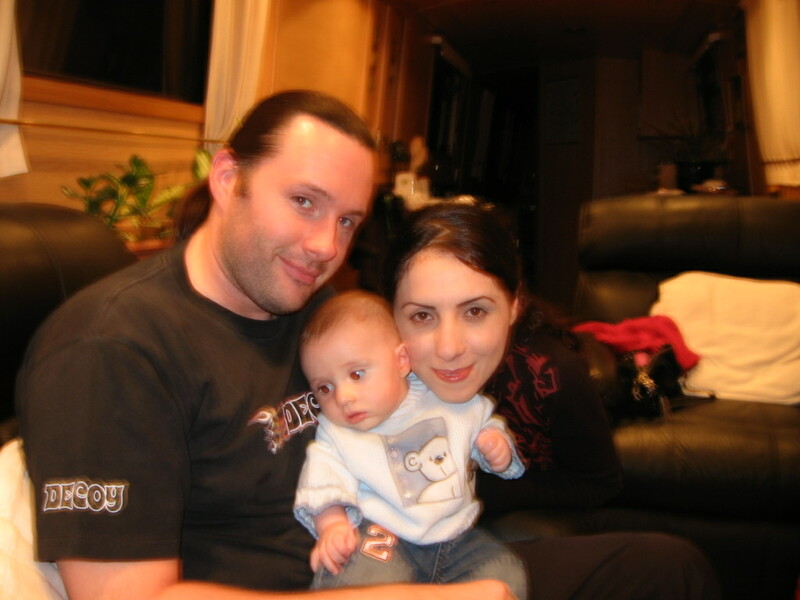 So that was a nice surprise and a chance to give the second youngest g`child a cuddle. Then another call from son Andy resulted in being taken out for sunday roast at the Anglers Rest pub so more hugs from g`children Jack & Jordan. They both had news for me. Jordan had started dancing lessons and Jack said i had to be at his birthday party in December because he had a Maashishan coming. Magician? must be that i would think eh folks. Hazel the resident mooring warden patrols her patch at Marsworth giving out a welcome letter containing her mobile number for boaters to contact her for any reason, and advising boaters of the length of time they can moor at their chosen spot. A very pleasent lady. 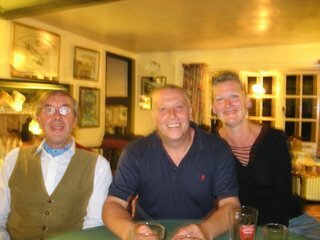 John(left) who i have been travelling with all summer and Andy & Tina all enjoying a meal and catching up on our travels since we parted company back in early June. My son Steve & his wife Ozlem with G`son Teo. Won`t be to long before he will want to be on the tiller. 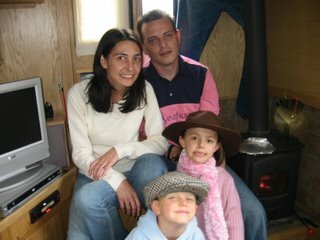 My son Andy, his wife Bev and Jordan & Jack who have found G`dads hats. This is Hazel the resident mooring warden off to do her rounds. 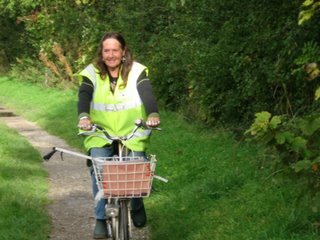 Telling me off as she went by "i don`t like my picture taken" as she stopped pedaling & smiled, poser. 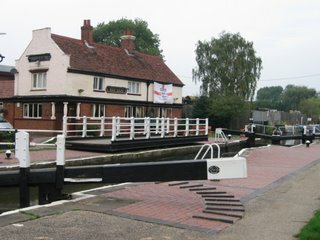 Fenny Stratford Lock. This lock was built in 1802 because of water losses north of here due to leaks. The idea being to create slightly different levels. The drop in level here is just around 12". 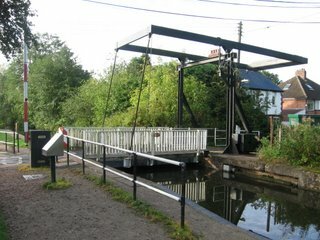 The swing bridge is in use and must be swung open to use the lock. A Swing Bridge within a lock was at one time quite common. The Globe Inn. It was very nearby to this pub that the Great Train Robbery took place when Ronnie Biggs and his crew lifted £2/3 million pounds from a mail train heading into London. Seems a small amount now but back then it was headline news and featured in the news for months. 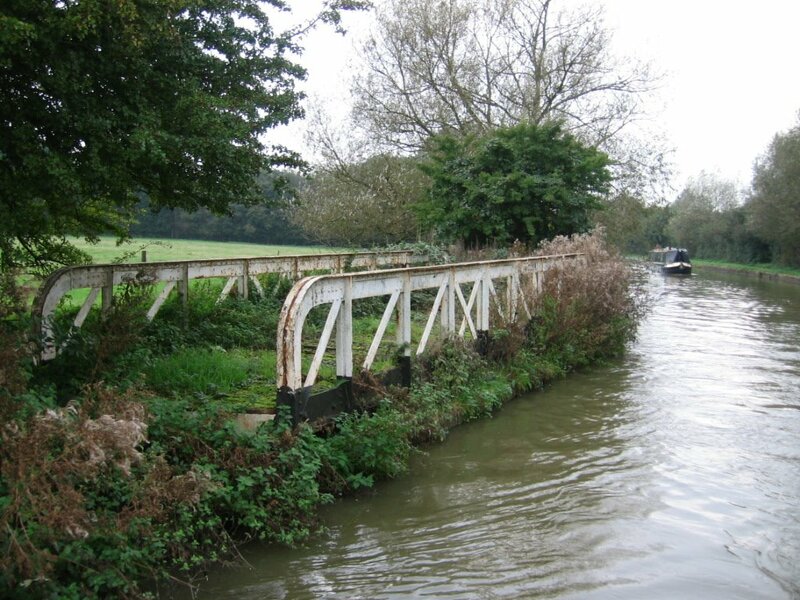 An old swing Bridge lays un-used. Just a few hundred yds before Tesco and L. Buzzard town is the base of Wyvern Shipping Co. and it`s hire fleet moored 3 abreast in places. I counted 25 boats but had seen 1/2 still out cruising. Will moor here for the night before heading to Marsworth to meet friends & family. 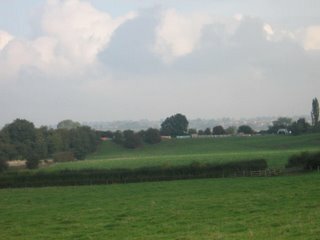 Away from Whilton and heading for Stoke Breune to meet some friends for lunch. Had been cruising about an hour when the heavens opened so a stop for tea was captain`s orders. After an hour things brightened up so with waterproof trousers on and coat close to hand off we go as i must make the lunch date. It wasn`t too long and down came the rain but time not being on my side just stood it out and cruised for 2 hours in the heavy rain. Bill&Eileen it was nice to see you so it was worth the soaking. 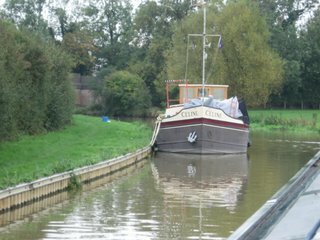 Leaving Stoke Breune involves 7 locks but after the amount we`ve come through lately this was a doddle. Stopped off at the village of Yardley Gobion to get bread & milk. 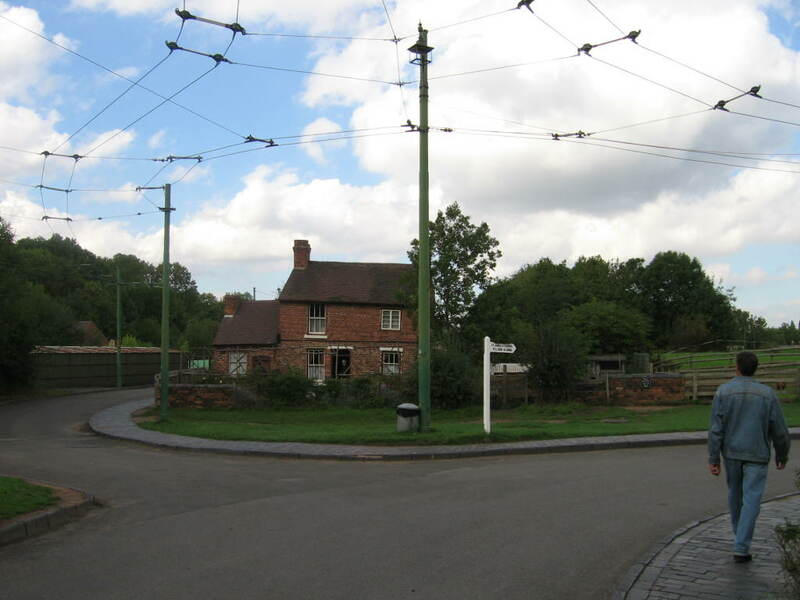 The Boat Inn at Stoke Breune has a tiny shop in the corner of the dining room but they had run out and as no shops survive in the village a move to Yardley was a must. Usually carry part-baked bread that keeps for 6 weeks but somehow forgot to replace my stock. Always emergency tin milk on board. On down to Wolverton to hit Tesco and top up the cuboard. Walking from the canal it`s a shame to see all the empty railway sheds that was part of the history of this once bustling railway town. Before Wolverton we passed through Cosgrove lock and so began a lock free 12 miles through Milton Keynes. 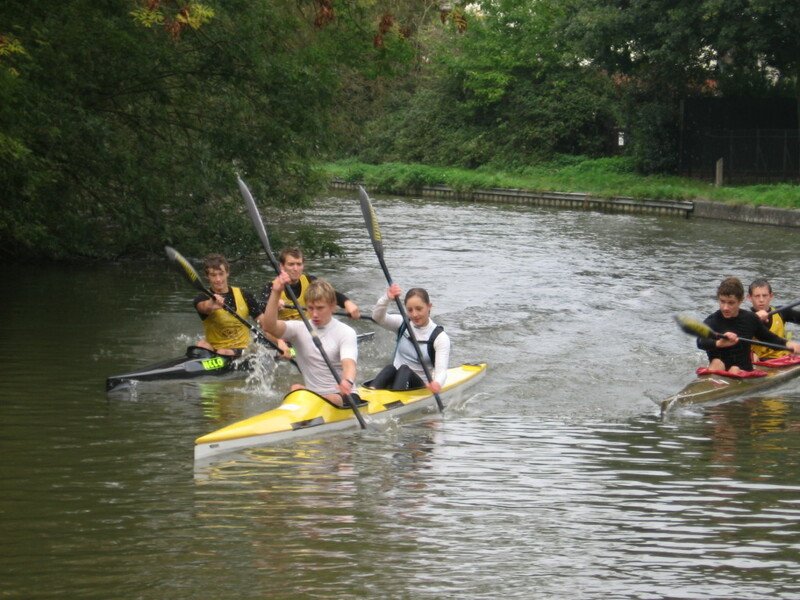 Along this stretch while moored the Leighton Buzzard canoe club were holding a 13 mile race from Gt. Lindford back to L. Buzzard havind transported the canoes by road. The youngest taking part were 8yrs. 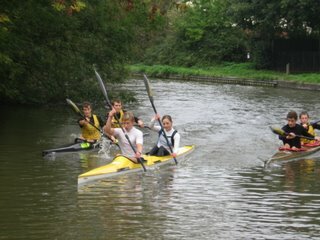 These youngsters were completing the course in 3 stages, still a long 4 mile stint for each relay team member. 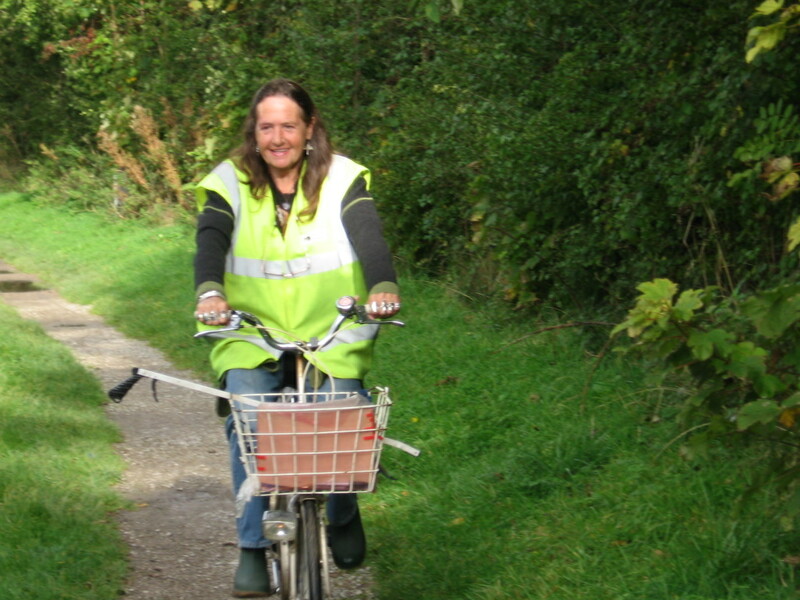 Plenty of adults on bikes were riding the towpath keeping an eye on them all. Had a nice visit from Jack & Jordan my Grandchildren and just to make the day complete they brought their mum&dad, Andy & Bev.We all walked to the Caldecote Arms by the lake of the same name and had a nice meal. This is by bridge 92,just walk across the lane past the car park and you will come to it , look for the windmill, Alovely spot just to walk around and the company and the meal being a bonus. Sure sign we`re on the Grand Union with the passing of more & more widebeams. 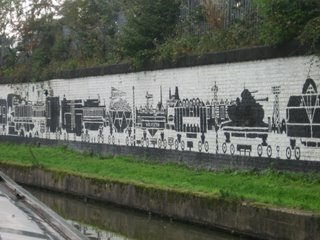 Not graffiti but reflecting that Wolvertons railway history. Bit damp,but i bet they`re warm. Well have just published my blog "BRAUNSTON" and checking my e- mails have one from the site meter that monitors the blog. It shows that between the 6th & 12th October the blog site had 333 visits and 625 pages were read. I was quite chuffed so many people were looking in, could be i might beat Eastenders in the ratings war. Cheers all. 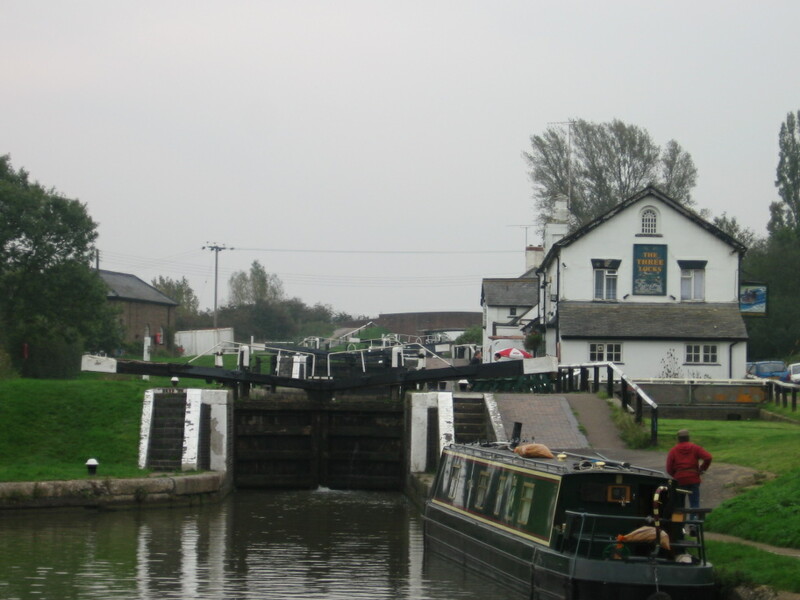 Well getting to Braunston was a must for me as i knew Sue/Vic on no problem and Chas/Ann on Moore2Life would be passing through following their summer on the Nene. I first met Sue/Vic at Bedford some 14 months ago before i had NB Valerie built. Reading blogs and any thing connected with canals was my way of life once i had decided to retire and live afloat. Reading Sue`s blog ( link on left, please try it) and picking her very knowledgable brain via e-mail led to that visit and we kept in touch ever since. Also i would regularly talk to Chas of Moore2Life via instant messenger and wanted so much to meet both him and his wife Ann. So after checking Sue`s blog i estimated the arrival of both boats and met them half way down the Braunston flight. After introductions and a big hug from Sue - thanks Sue that made feel really welcome- we had some home made soup and a good chin wag. Saturday night myself and John on NB TUI who i have travelled with all summer were invited aboard No Problem for a good drink. A wonderful 3 days in the excellent company of 4 nice people. Thankyou. 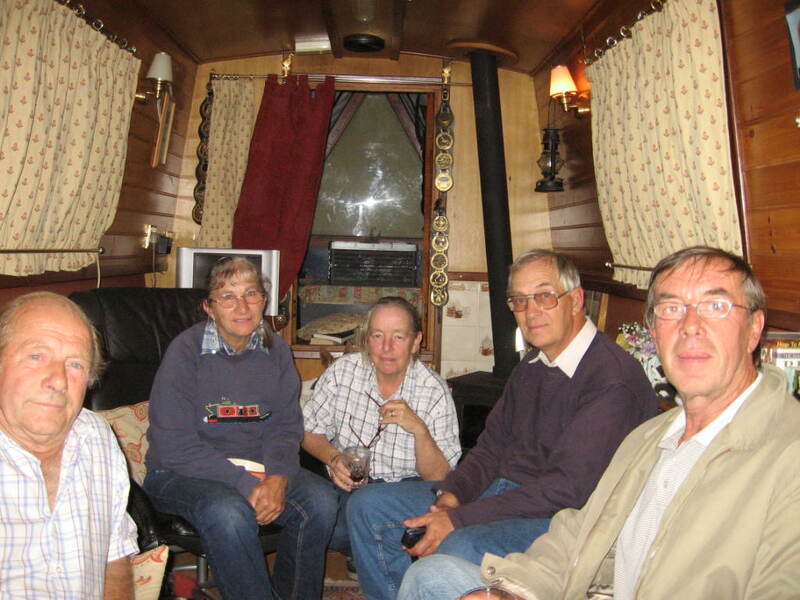 Party time on No Problem and left to right we have Vic, Ann, Sue, Chas, John. 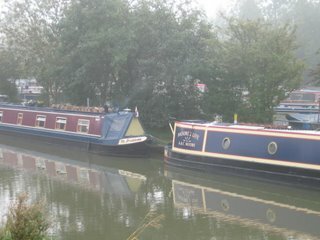 No Problem & Moore2Life moored at Braunston. NB Valerie is the last boat in the line. Approaching Norton Jct. 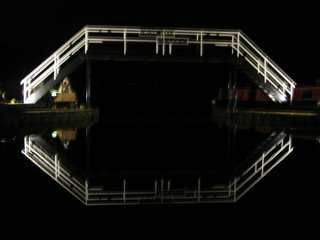 On the horizon can be seen boats moored and the footbridge on the Leicester Arm of the Gd. Union. 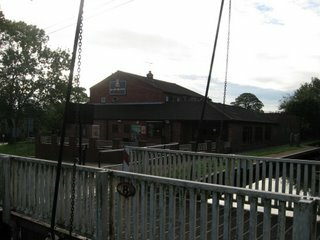 The entrance to Whilton Marina, an overnight stop after leaving Braunston. Locks and more locks, oh the joy of boating. Still i don`t mind them realy, just something that has to be done and my motto is "if i don`t get there today it`ll be tommorow" Why rush i`ve a lifetime ahead. Lapworth was 18 with 13/14 quite close together. 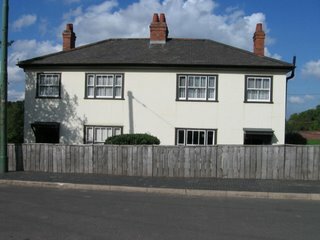 Hatton was 21, then 2+ a staircase at Bascote. Shrewley tunnel at just 433yds was the wettest i have been through, the boat roof wasn`t just spotted with drips it was awash with water. As we came through Warwick we stopped off at a large retail park and popped into Halfords for some oil & fuel filters, so much cheaper than chandlers on the cut. At Calcutt locks (3) noticed some new marina berths being built both sides of canal. Not yet in water but rough count of jettys i would guess close on 200 berths. 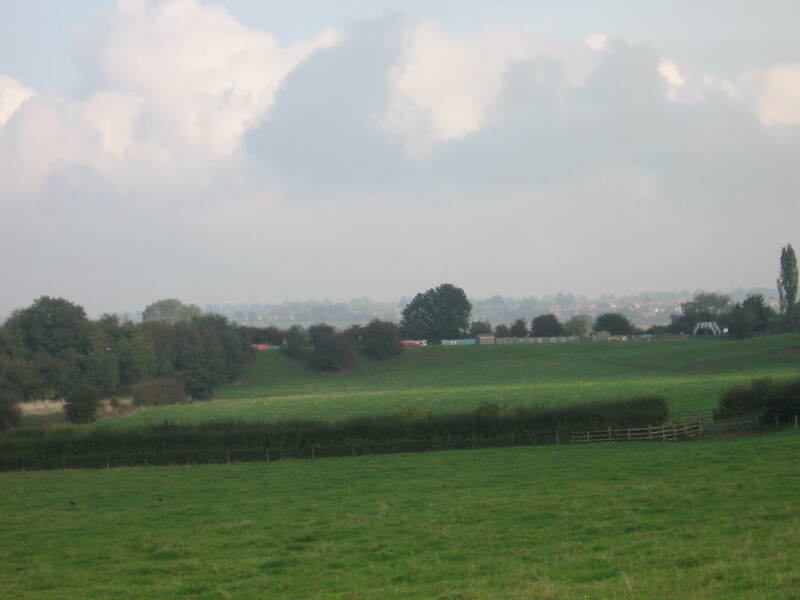 From Calcutt it`s about 1/2 mile to Napton Jct. and then 5 miles to Braunston. 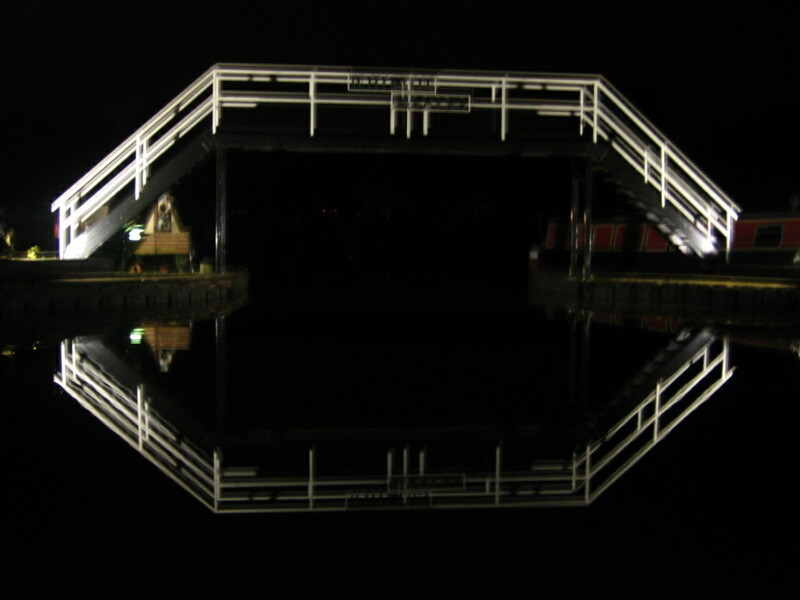 Two of these lift bridges to pass under. At both we were lucky as another boat was already at both and they waved us through. Kingswood Jct. The lock on the left by the moored boats will take us down to the Gd. Union. 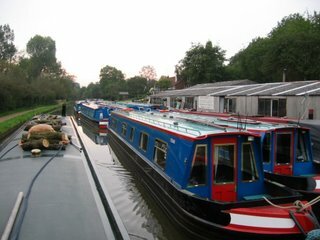 So with NB VALERIE listing and my chocolate craving satisfied for weeks to come we move off to find a night mooring away from birmingham altogether. At Kings Norton Jct. we turn onto the Stratford on Avon Canal passing under the two wooden guillotine gates of the first lock on this canal. 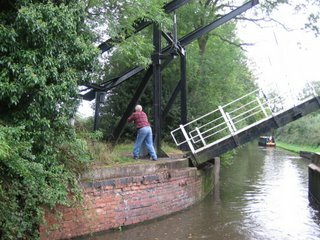 This was once used as a stop lock to safeguard the different canal companies water, they didn`t like losing water to each other. Now the gates are always up. 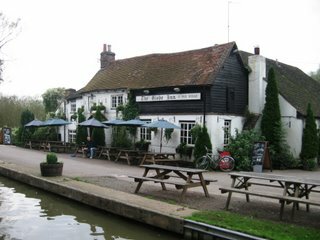 Five miles on we come to Shirley drawbridge and the Drawbridge pub so this will be a night stop. Guillotine lock at Kings Norton Jct. Shirley drawbridge. The control panel can be seen on the left just short of the bridge. A B.W. key is used to activate the traffic lights and lower the barriers on the road, the button to raise the bridge must be kept pressed in or the bridge will stop lifting. A second button will lower it and raise the road barriers and untill the sequence is complete you cannot remove the key. 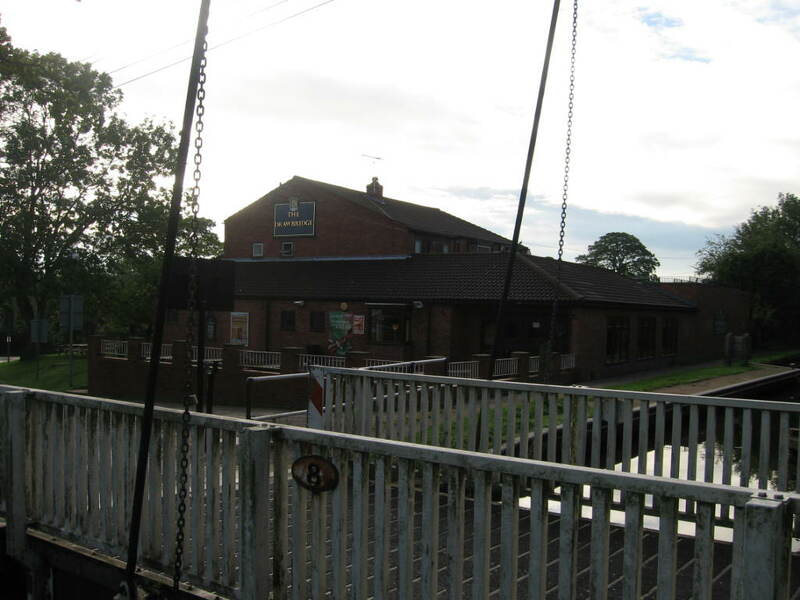 The Drawbridge pub. Wonder how they came up with that name? 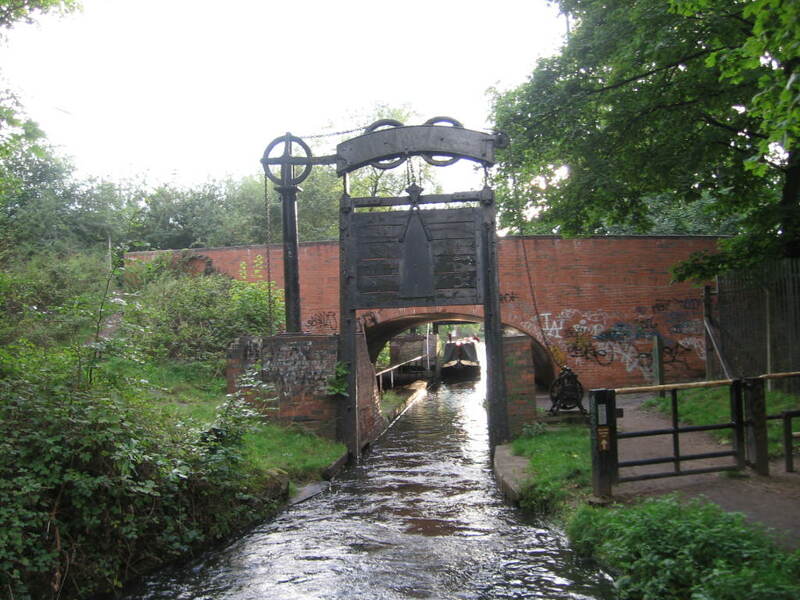 Out of Gas St. Basin onto the Worcester & Birmingham Canal through Edgbaston and pass the Univercity of Birmingham just 4 lock free miles brings us to Bournville. 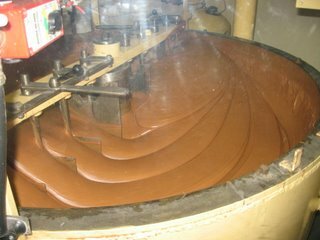 Now anybody that knows me will realise there`s no chance of me passing a chocolate factory without stopping. B.W. 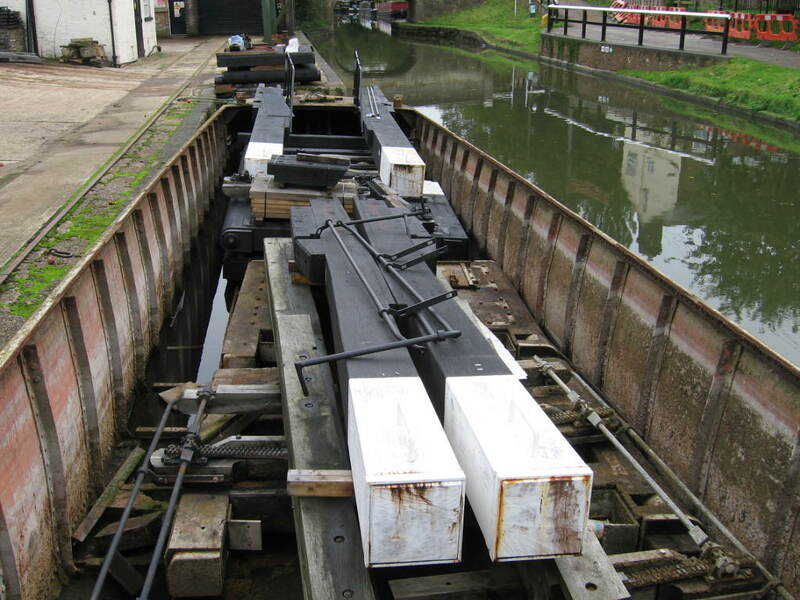 Have provided offside moorings that a BW key is needed for access but sadly only room for 3 boats. Must be hell in the peak months although of course there is the towpath side but this is not one of the best areas to leave your boat un-attended. 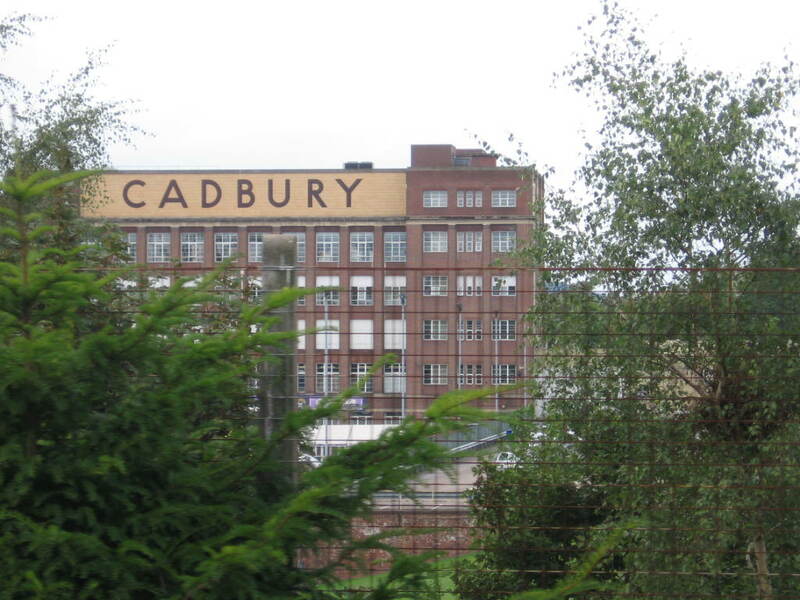 So we did the tour of Cadbury World and with the voucher collected on admission paid a visit to the factory shop. Now this factory shop is not in the visitor complex but nearer the railway stn you pass from the moorings. This is the shop that Cadbury staff use and is full of bargains, so don`t miss it. Those that know me would be surprised if not shocked that i would pass this buiding and not stop. True Bev? Now hands up all those who`s mouths are watering. 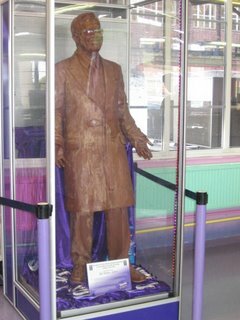 This life size chocolate statue of Elton John is in a temprature controlled cabinet to keep it in good condition and to stop chocoholics like me picking bits off. 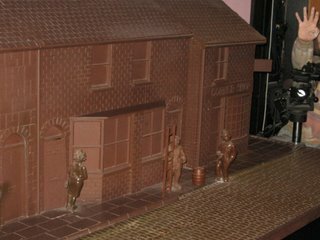 This is one of the chocolate street scenes shown in the commercial breaks on Coronation St. It is actually made of plastercine. 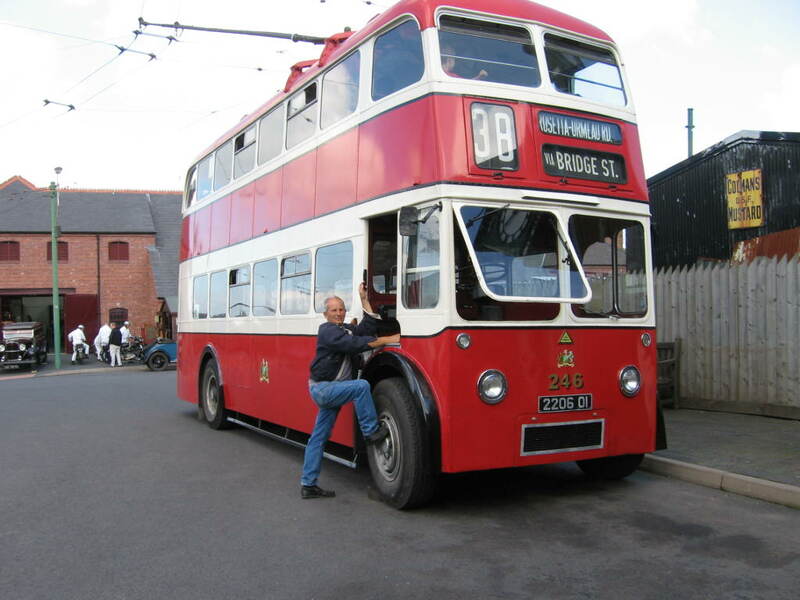 An early depature from the Black Country Museum will help avoid any chance of the local youth giving any problems as we travel through the Birmingham suberbs. Out of the museum a right turn onto the Wolverhampton Level we are running paralell with the Birmingham Level Main Line some 1/4 mile to the left of us. As we travel we pass over a canal past another that joins to the B. Main Line and then a large wharf now a housing complex just the shape of the basin being the only clue as to the past. Slowly we turn towards the B. Main and then pass over it and for a mile or so we are alongside it but some 20 odd feet above. 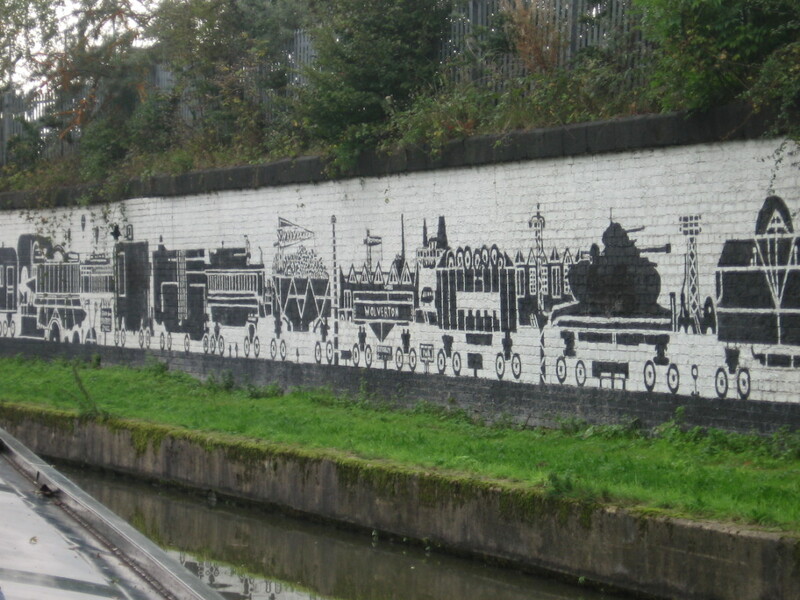 As we drop down through the 3 Smethwick locks , like coming down a slip road onto a motorway but that was Birmingham past, a huge water road complex, we are now on the Birmingham Main Line passing canals going off left and right only to rejoin the main line a little further on. 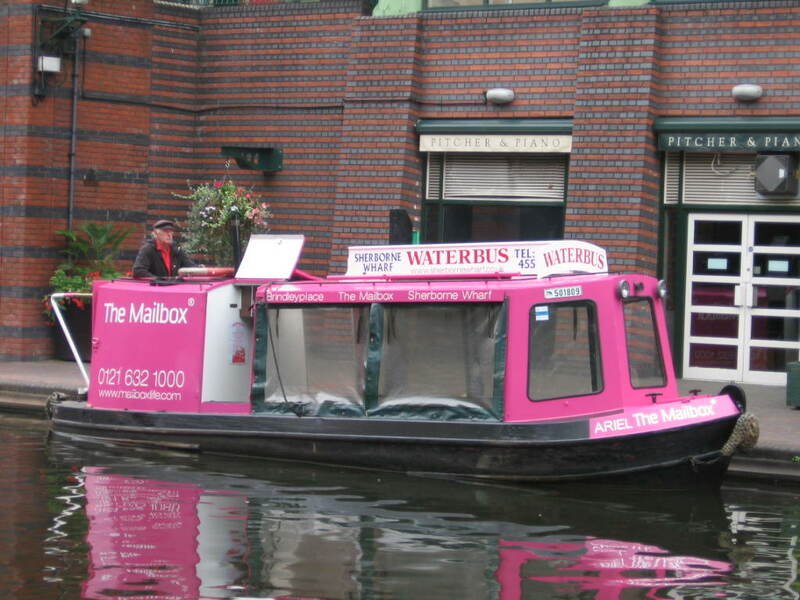 With the map in one hand and tiller in the other we enter Gas St. Basin the heart of Brum. 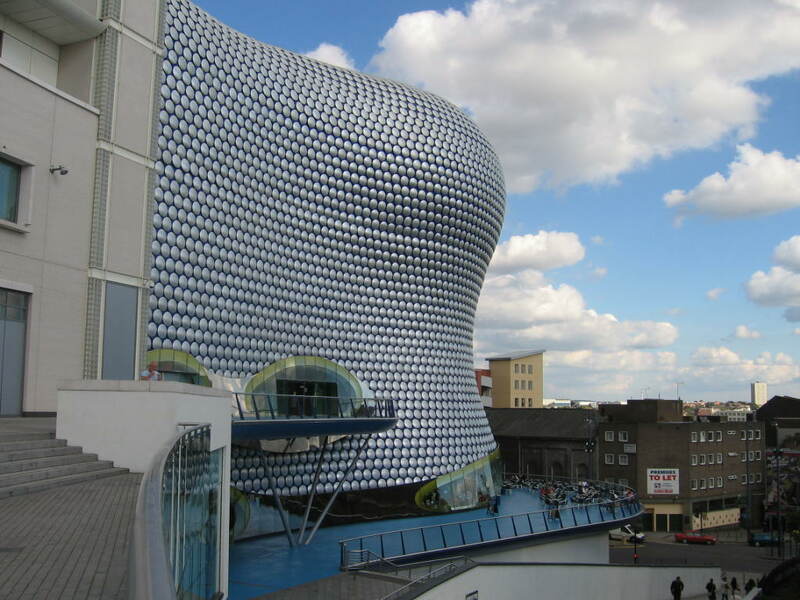 Surrounded by wine bars , restaurants, the giant indoor arena , Sea Life centre and...............trust Tesco to get a small metro store in amongst it all. Still handy for some odds and ends during our stay. Moored up kettle on, this is home for 3 days. 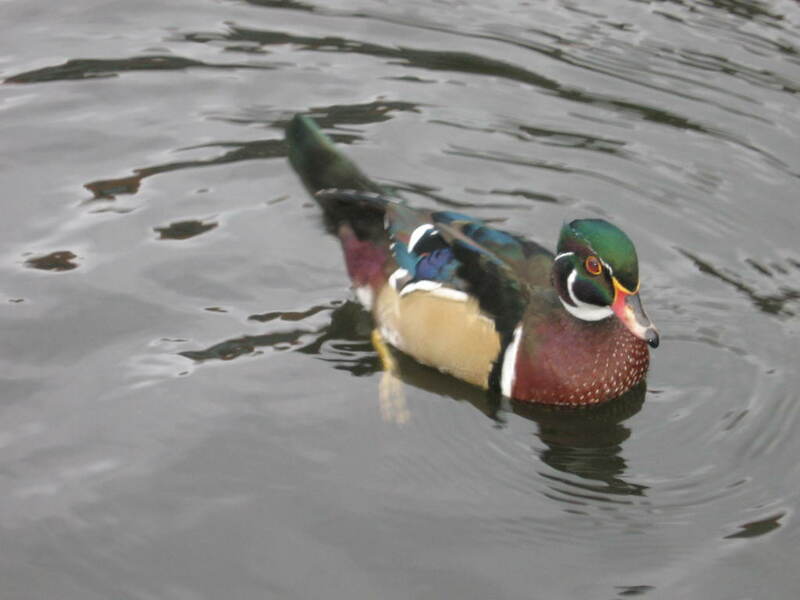 An unusual visitor, the Mandarin duck. 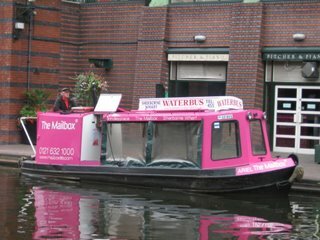 The Waterbus transports passengers around central Brum stopping at several places and cost 50p per stop. Should have been at the top of page but none the less it`s the Selfridges store at Bullring shopping centre. Can`t decide if i like it or not. It sort of looks like a silver pineapple. 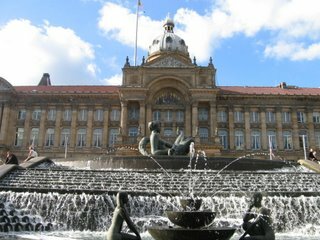 The Black Country was an area between Birmingham and Wolverhampton and the name came about in the mid 19thC when thousands of furnaces and chimneys belched out smoke. Mining of coal, iron and limestone caused large derilect areas. Coal seams some 30` thick and often only a few feet below the surface resulted in many mines being started by just a handful of men. The museum was established in 1975 and the first of many buildings saved from demolition were brought to the museum site and re-built. 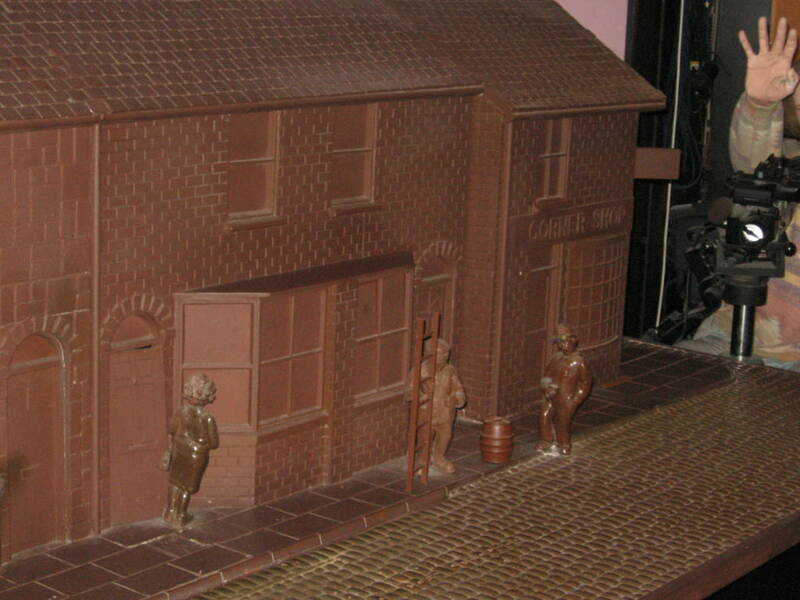 They were bult brick by brick, as in their original location, around the canal basin to form a village. As you walk around the village you really get to step back in time as you look in the shop windows faithfully set out as they would have been so long ago. 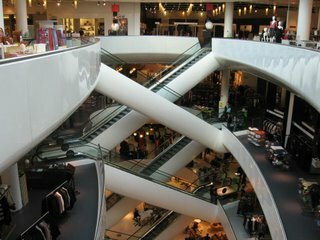 You can step into the shops and speak to a shop assistant who will answer any questions. The houses are open for you to wander through and see the furniture of the time. 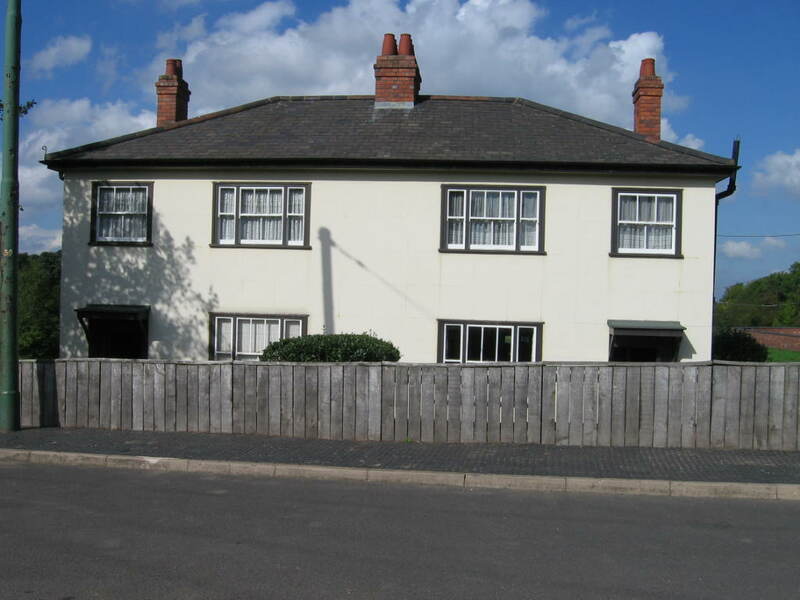 These cast iron houses were builtfor Dudley council in 1925 to to help quickly build houses to replace slums. 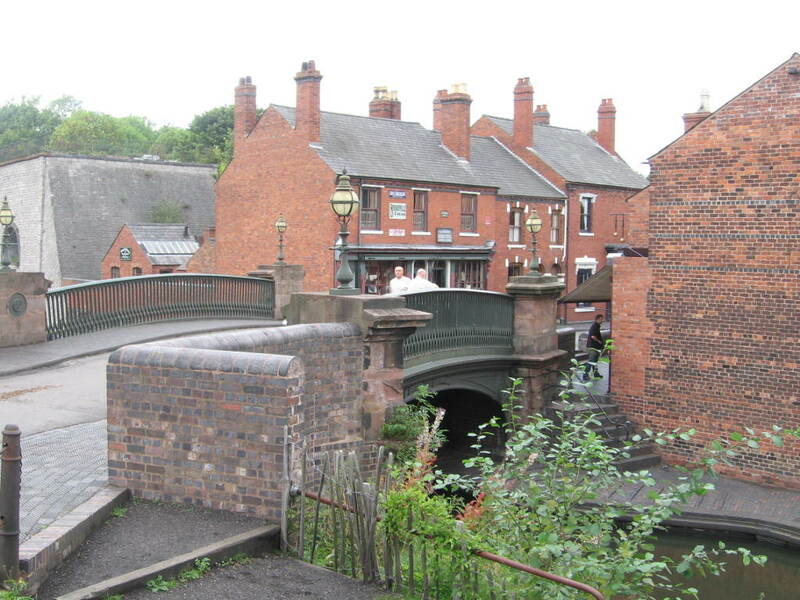 Only 2 lots were built in Dudley as with a cost of £1000 a pair it was cheaper to use brick. 600 cast iron plates were used in each. 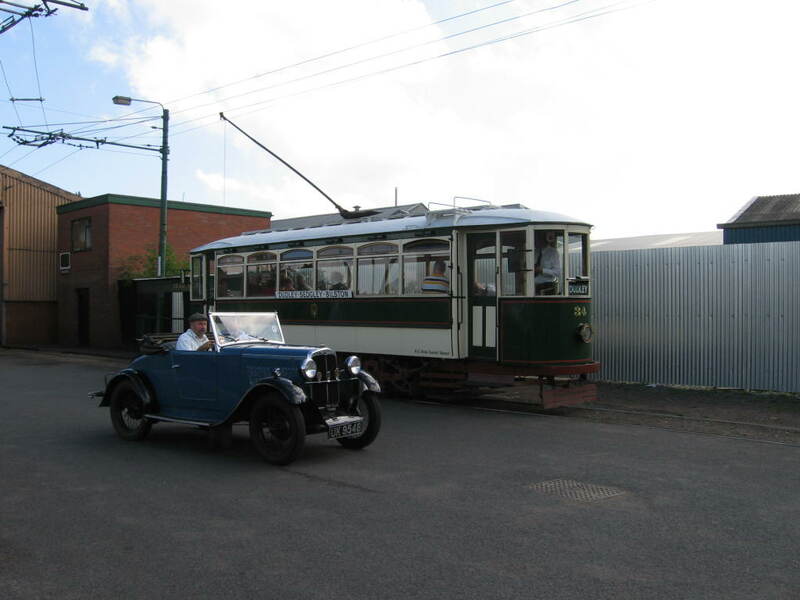 The Electric tram was recued from a garden in Dudley where it had been used as a summerhouse for 45 yrs. 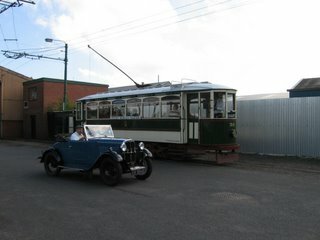 The vintage car is one of several plus motorcycles that are driven around the site adding atmosphere. 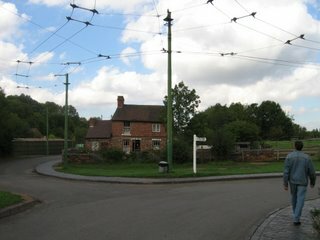 The Tilted Cottage had in it`s original location suffered from subsidence due to mining and when it was taken down and re-built at the museum it was exactly as it had stood showing the effect the subsidence had. 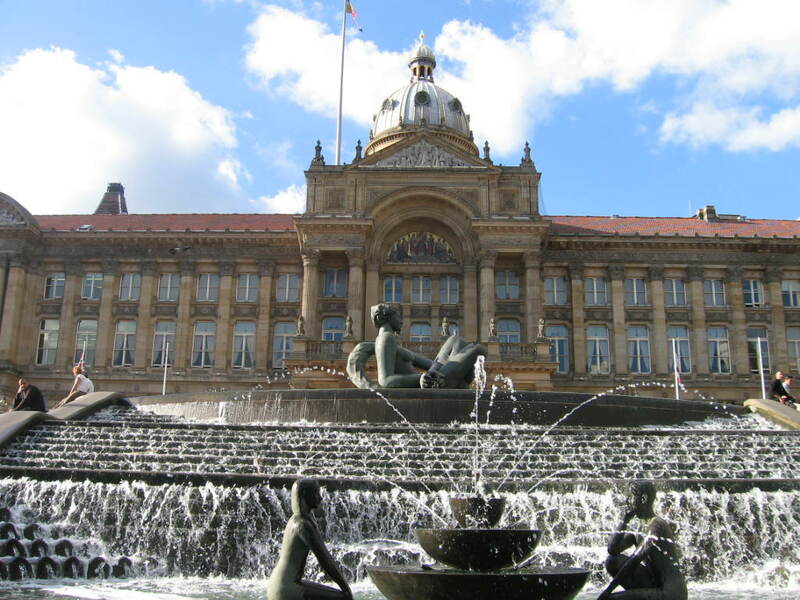 Trolleybuses first appeared in Wolverhampton in 1927. The ones operated at the museum that transport visitors around the site date back to 1946/1954. 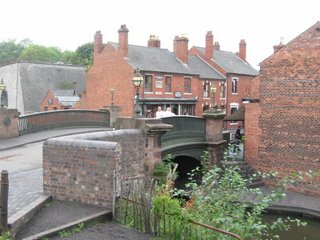 This bridge dates back to1879 and was removed from the construction site of the Wolverhampton ring road and installed at the museum. 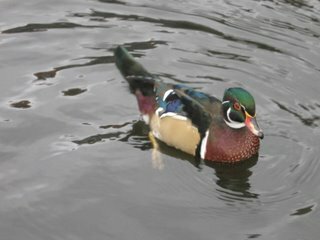 This was truly a wonderful day out and after doing the Wolverhampton flight of 21 locks in 5hrs the previouse day it was nice to step ashore and have a relaxing stroll back in time.